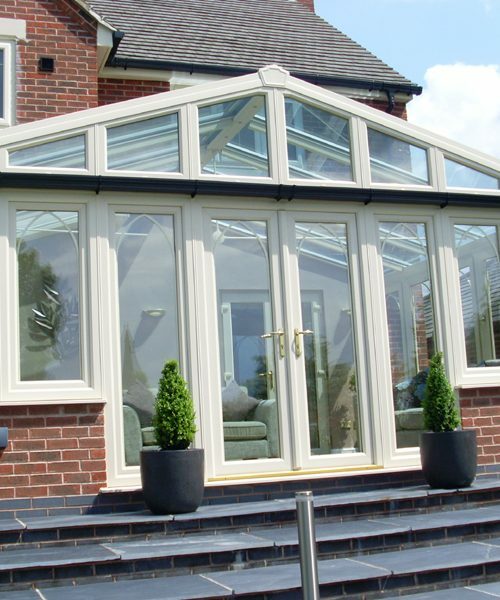 This conservatory project in Heanor, Derbyshire is one that we are particularly proud of. The transformation from a dull conservatory with brickwork that didn’t match the main building into one that is both more sympathetic to the style of the house and makes a stunning impact thrilled the client. 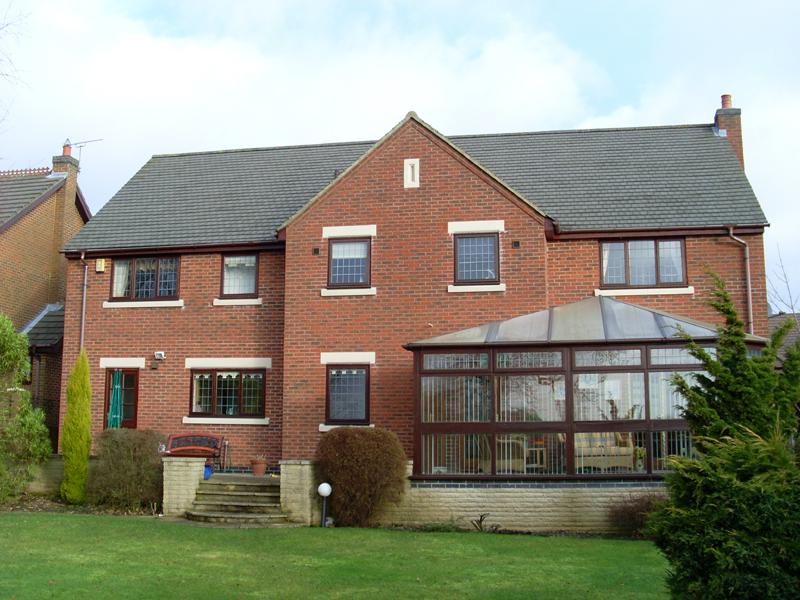 The project even was even commended as the Installation of the Month in the National Fenestration Awards at the time. 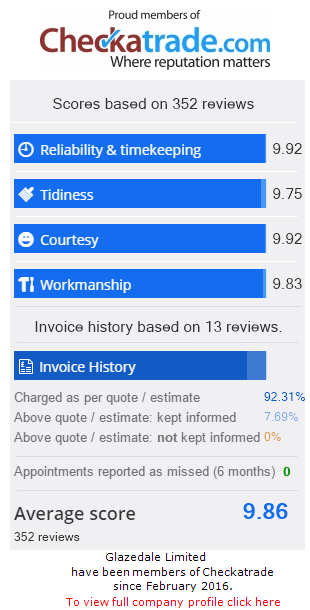 We especially like the Liniar profiles because they achieve the highest energy ratings without expensive triple glazing – that’s got to be good. 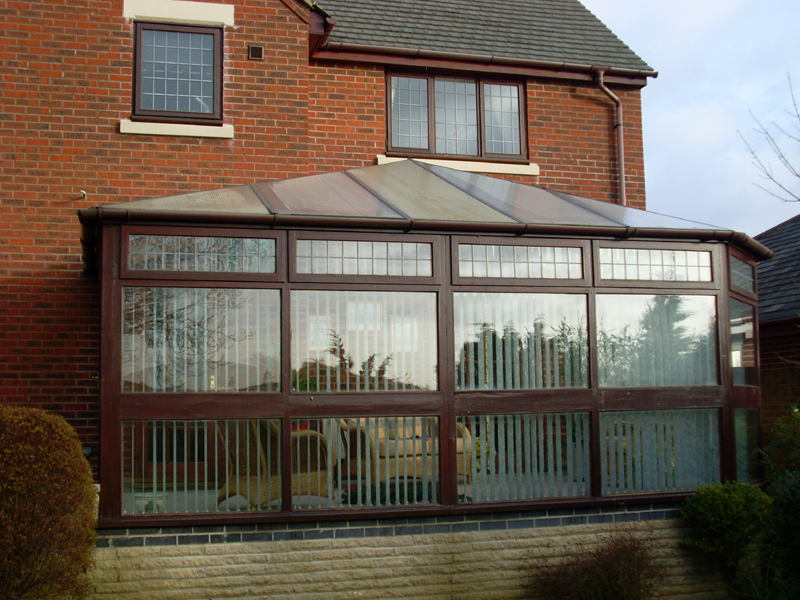 Without wanting to baffle you with technical detail, the UPVC profile – or frame – in a Liniar window contains symmetrical chambers to minimise the transfer of heat from the inside of your property to the outside. 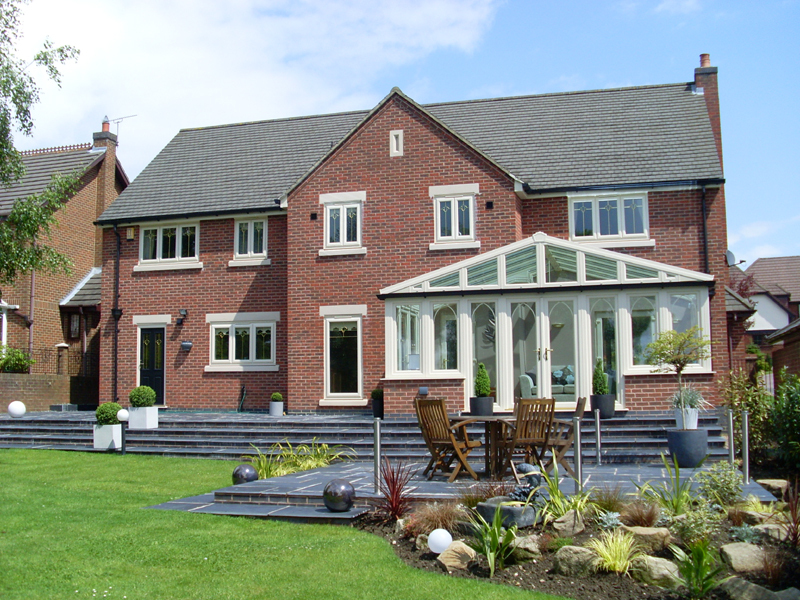 And, unlike other UPVC window systems, Liniar’s high thermal efficiency isn’t achieved at the expense of strength or security – the range is accredited with both PAS 24 Enhanced Security and Secured By Design status, assuring you of the highest standards. 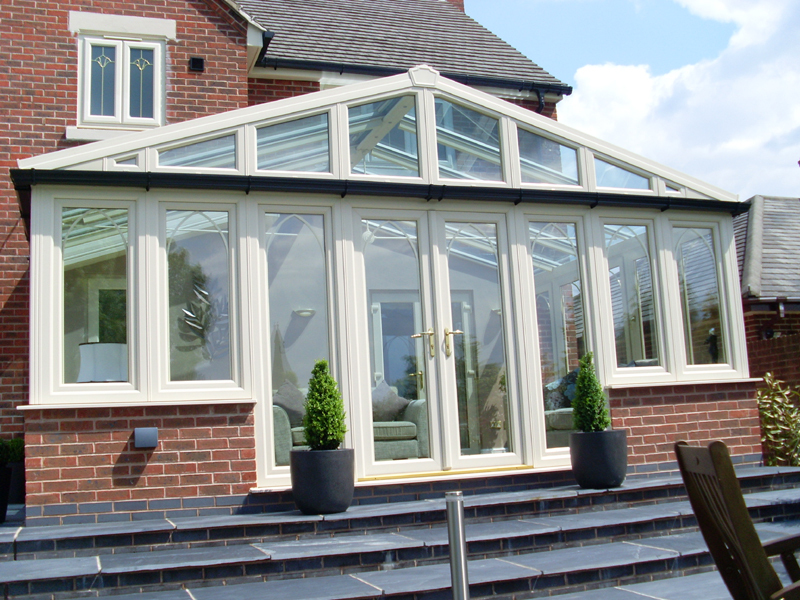 For the conservatory roof we used Pilkington Activ™ Blue, an attractive blue glass that combines self-cleaning properties with medium solar control performance helping to create a cooler internal environment which can be used all year round. To complete the project we looked after the finishing touches including the patio and slabbing taking the smart new look seamlessly into the garden.